Many came out Wednesday evening for a candlelight vigil for Reed Keith, the business owner shot multiple times during a robbery at his store on March 23. 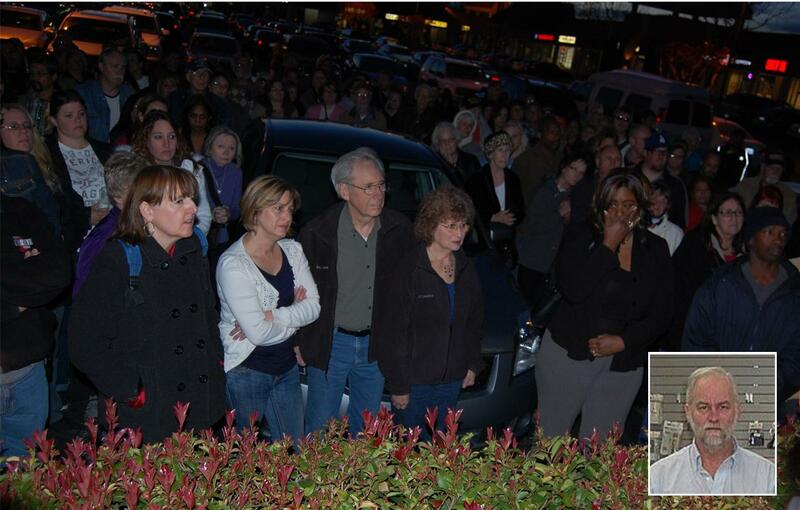 LANCASTER – Nearly 200 gathered in front of e-Chaps Computer and More Wednesday evening to celebrate the life of Reed Keith, the beloved Lancaster business owner murdered during a robbery at his store on March 23. 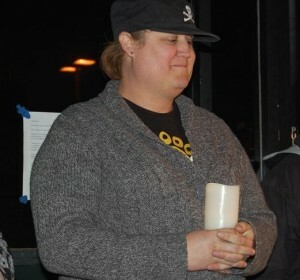 Attendees lit candles, embraced and cried quietly as family members, close friends, customers and even those who didn’t know Keith at all, stood before the crowd to share their thoughts. “I have never been in the shop and I don’t know him at all, but it happened so close to where I live that I just wanted to show community support for this man,” said Lancaster resident Sheila Avery. Those that knew Reed Keith spoke about his quiet and humble demeanor, his generosity and wry sense of humor, and his genius and love for fixing computers – often times for no charge. “He had that love for it to the point where he wanted all the computers that nobody else could fix,” said former customer Roland Hardson of Lancaster. “Thank God Reed had a good retirement from Southern California Edison, because if you heard a lot of people, he didn’t charge a whole lot to fix computers,” said Lancaster City Council Member Ken Mann, a personal friend to Keith since Keith began leasing business space from the Denny’s franchisee next door. 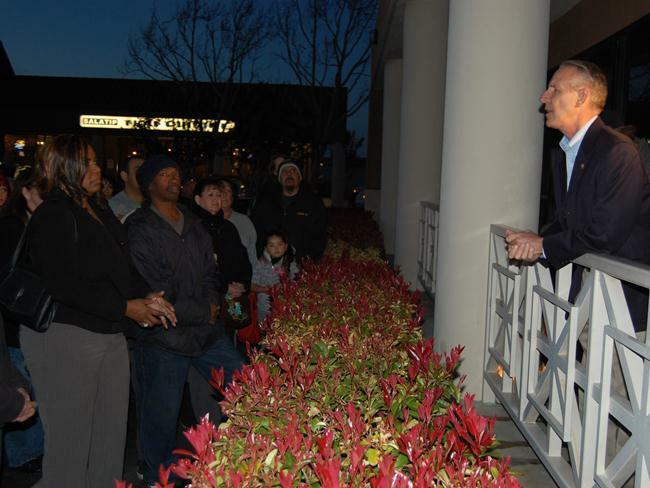 Mann said he and fellow council members, Marvin Crist and Sandra Johnson, attended the vigil to pay their respects to the family of Reed Keith on behalf of the City of Lancaster and the Lancaster City Council. Many residents of the city of Palmdale attended the vigil, as well. Keith’s daughter, Casey Keith, said she was overwhelmed and appreciative of the turnout and said it was a testament to the impact that her father had on the community. 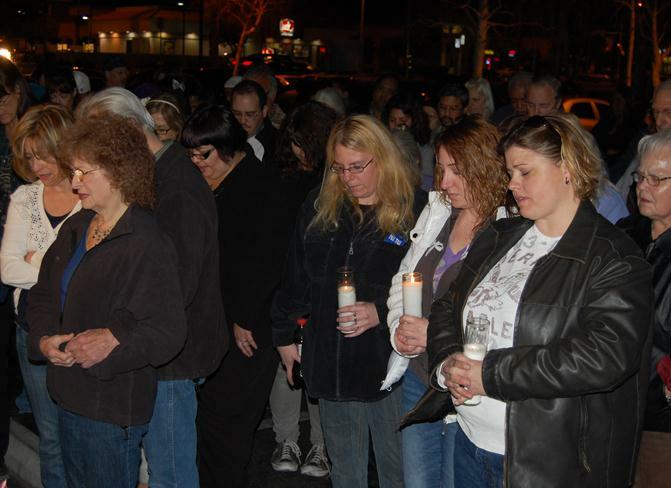 Many vigil attendees also placed flowers, cards, and notes in front of the store and gave donations to support the family. Casey Keith said donations are still welcome in support of Keith’s widow, Helen, who does not have retirement or aftercare. 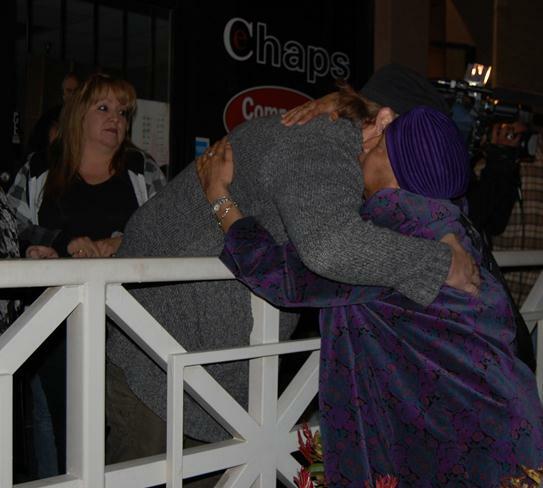 Donations can be made to Helen Keith and dropped off at AV Computer Doctor, located at 44519 10th Street W #105. Contact Casey Keith at 661-729-2823 for more information. 1 comment for "Family, friends, community remember Reed Keith"
Thank you all for coming and supporting our family. We still need your prayers and would appreciate your continued support at our computer shop here in Lancaster.